A borehole pump is mainly used for irrigating gardens and lawns, but may also be used as a rainwater system. Due to its narrow diameter, a borehole pump can be placed in wells/sources with a diameter of approx. 10 cm. 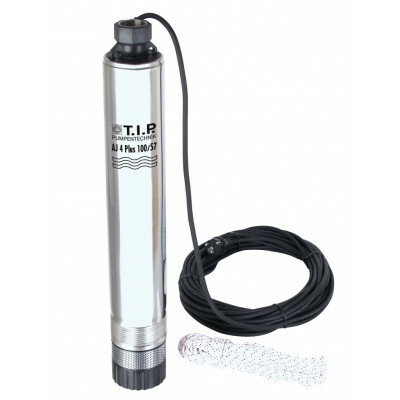 A borehole pump is often used to pump up water from depths of dozens of metres. Due to the high pressure that a borehole pump can generate, it is ideally suited for irrigation, but also for general water supply in (parts of) homes. A borehole pump is placed in a source, such as a groundwater well, after which the pump can move the water through the pressure output at high pressure. A borehole pump is intended for tasks that a self-priming pump (such as an irrigation / booster pump) is unable to perform: it can drain water at depths greater than 8 metres. A borehole pump is characterised by an elongated, narrow tube, which is suitable for wells / sources with a minimum diameter of 4"(10 cm). How does a borehole pump work? 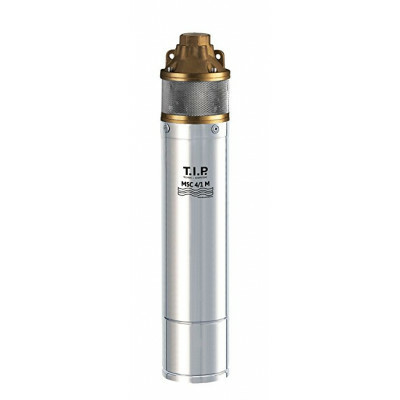 The borehole pump consists of three parts: a motor housing, pump housing and suction grate. The motor housing controls the pump housing, allowing water to be pumped. The water enters the pump housing through the suction grate. The pump housing includes several impellers. The more impellers the pump has, the more pressure and flow the pump can create. After the water flows past the impellers, the water leaves the pump through the pressure output. 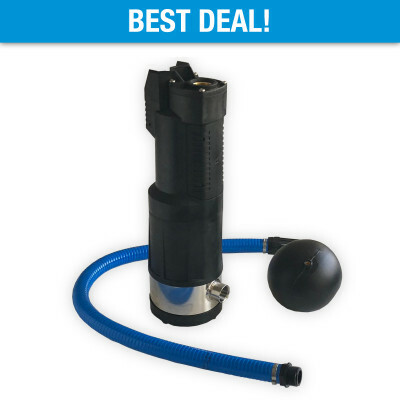 This pressure output can be equipped with a hose/pipe, whereby water can be pumped through it at high pressure. Your choice of borehole pump depends on your personal situation and a few variables. How wide is the passage to/in the well/source? How deep should the pump be positioned? And how much flow and pressure do you need? 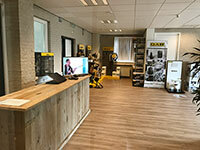 You can answer these questions by using our pump configurator (blue bar), after which we will present you with one or more suitable borehole pumps. A borehole pump with booster (i.e. 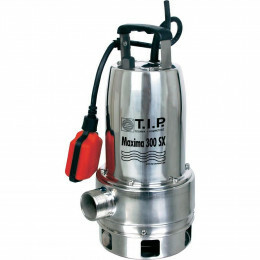 an underwater booster pump) is often used in combination with rainwater systems, in which rainwater is reused for flushing a toilet or supplying a washbasin/washing machine/dishwasher with water. A borehole pump with booster is the most ideal device in these kinds of situations. After all, the pump can be installed 'invisibly'; in the well/source, in this case. This saves a lot of space. 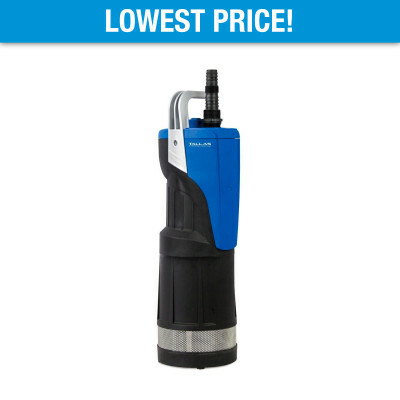 Moreover, the noise level of the pump is extremely low due to its location under water. 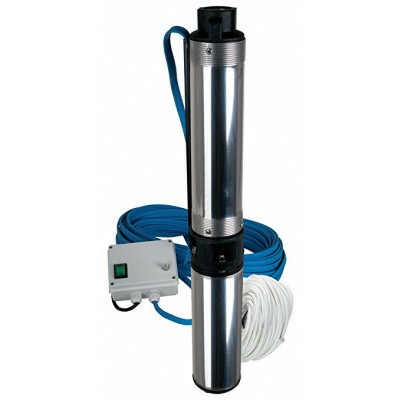 The borehole pump with booster also automatically switches on and off based on the current water demand. For example, opened the tap on your sink? 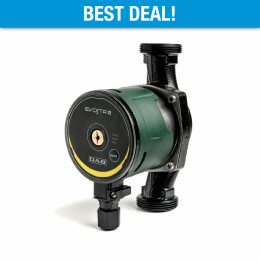 The borehole pump will automatically switch on until you close the tap. 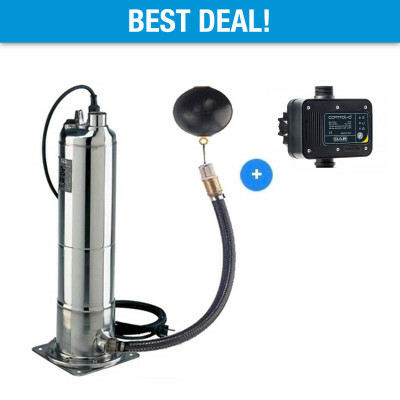 Our range includes several borehole pumps with boosters, including the Tallas D-ESUB, DAB Kit Pulsar Dry, EJ6 Plus and the DAB Divertron series. 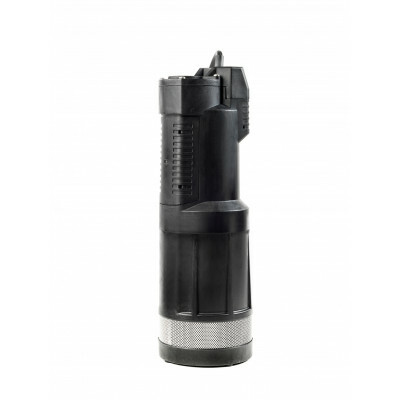 A borehole pump with frequency adjuster is ideally used for larger irrigation systems. 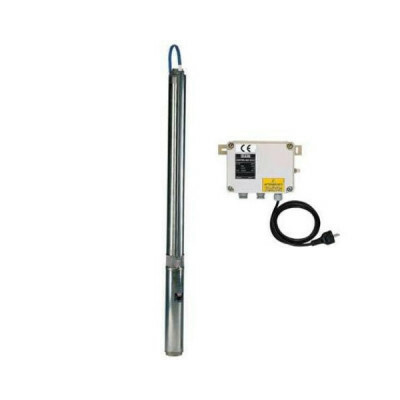 The borehole pump is controlled by an inverter, such as the DAB Active Driver. Thanks to the frequency adjuster, the borehole pump fluctuates in speed until it reaches the desired pace. This is especially important for larger irrigation systems where the life span of the pump is important. After all, without a frequency adjuster, the pump would simply consume a lot of kWs, significantly affecting the pump's life span. For this reason it is always recommended to equip heavier borehole pumps with an inverter. In addition, a borehole pump with frequency adjuster can also be deployed for irrigation with different sprinkler groups. For example, a borehole pump with frequency adjuster can provide each group with a preset pressure level and will fluctuate in speed to realise this. 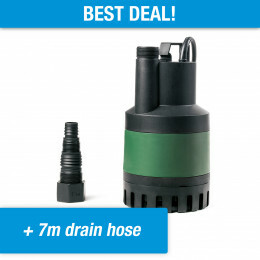 A self-priming pump (such as an irrigation or booster pump) has a maximum intake depth of 9 metres. However, a borehole pump that is placed in the water source is able to pump from depths of at least 50 metres. Moreover, a borehole pump is much quieter than the average irrigation/booster pump. This is because the pump is placed in water, with the water absorbing most of the sound. 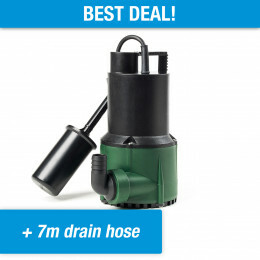 The delivery diameter and attached drain hose/pipe pumps the water to one or multiple sprinklers/supply points. When doing so, it is recommended to use a hose/pipe with an inner diameter of 25 mm or more. This is because when using a smaller inner diameter, the water will experience increased pipe resistance. This means the pump will be unable to reach the designated pump capacity and pressure. In these situations, it is more preferable to have the pump automatically start depending on your water needs. For example, if you're going to wash your hands, you'd like the pump to automatically provide you with water. An active system (such as the Electronic Control System and DAB Control-D) allows this. Such systems respond to current water requirements. For example, if you open a tap, the pressure drops and the pump must be switched on to provide you with water. If you close the tap, the pump will automatically turn itself off. An active system allows you to turn your passive borehole pump into a more active borehole pump.